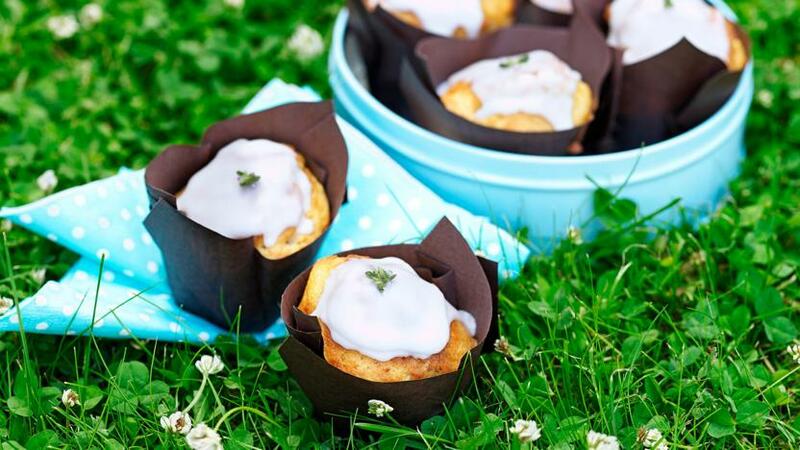 Lemon drizzle cupcakes are a wonderful thing, zingy, zesty and easy to make. Perfect for birthday parties or picnics. Preheat the oven to 200C/180C Fan/Gas 6. Line a muffin tin with paper cases. Mix the egg, sugar, milk and oil in a large bowl. Sift in the flour, baking powder, salt and then add the lemon. Roughly mix.